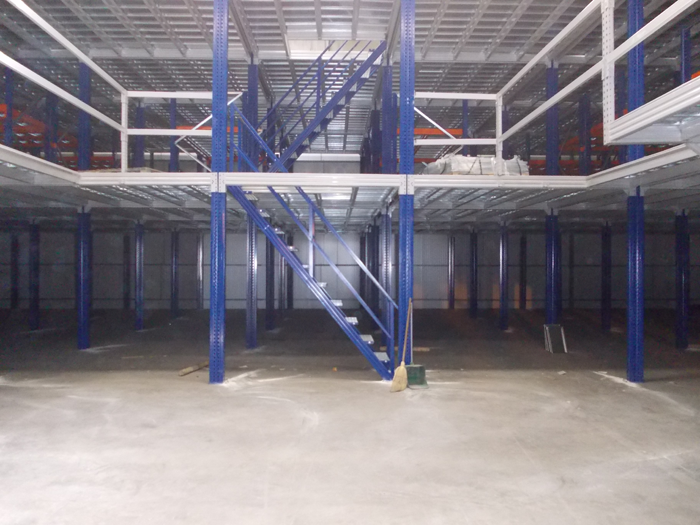 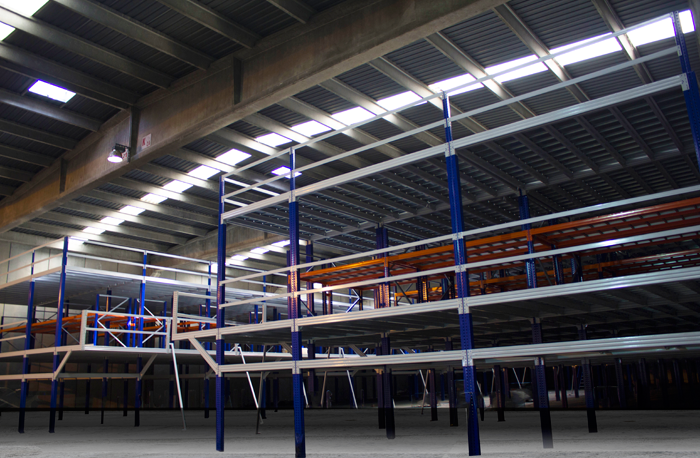 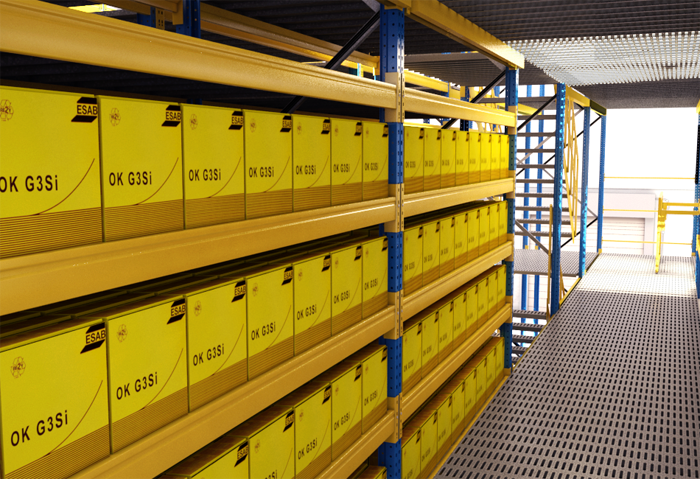 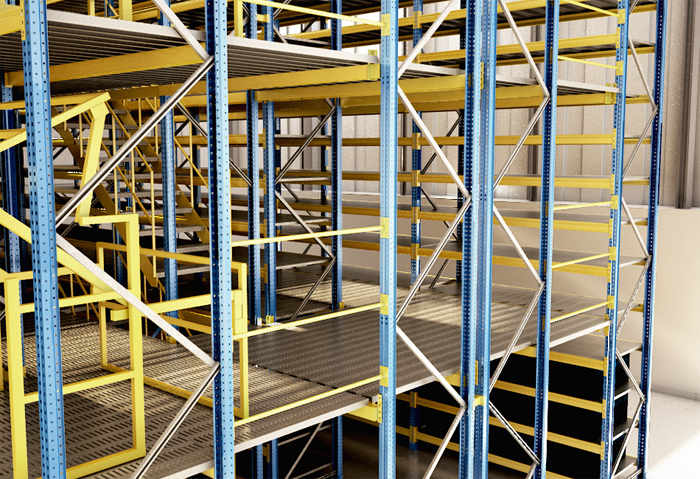 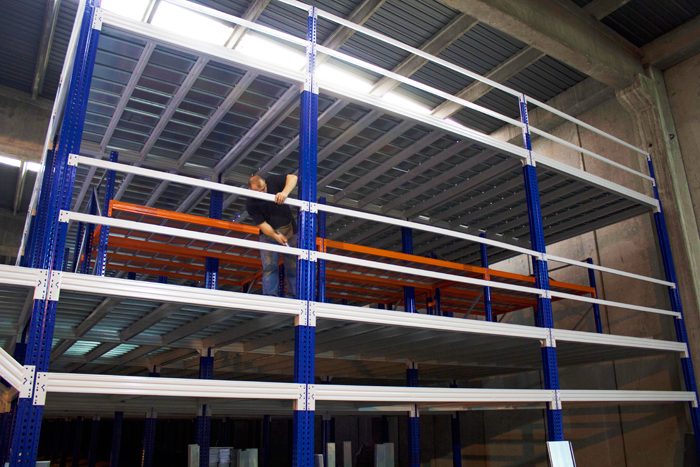 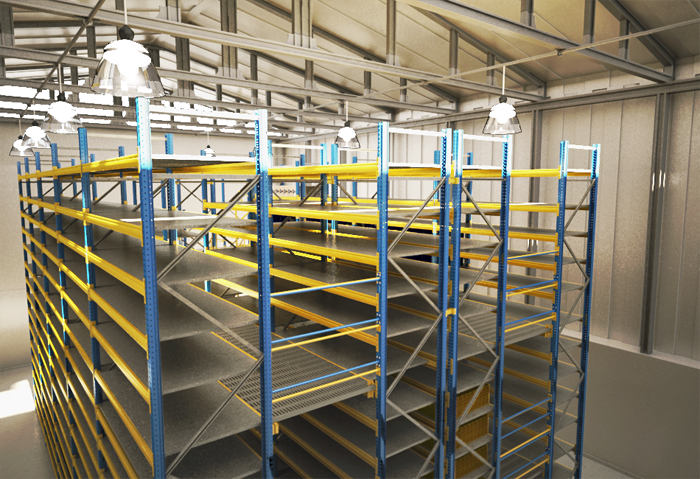 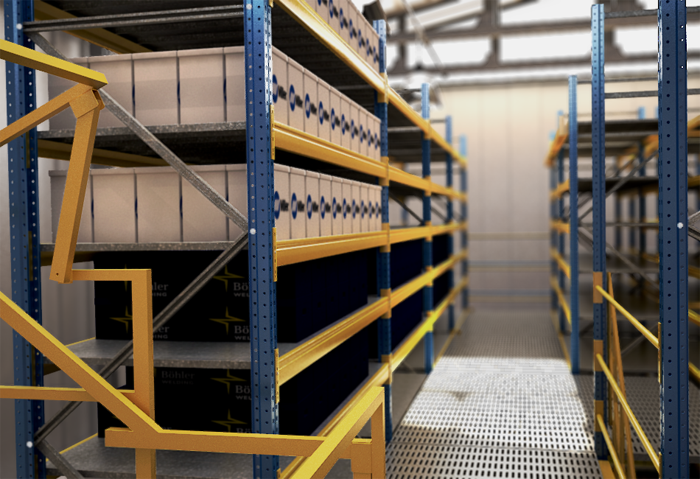 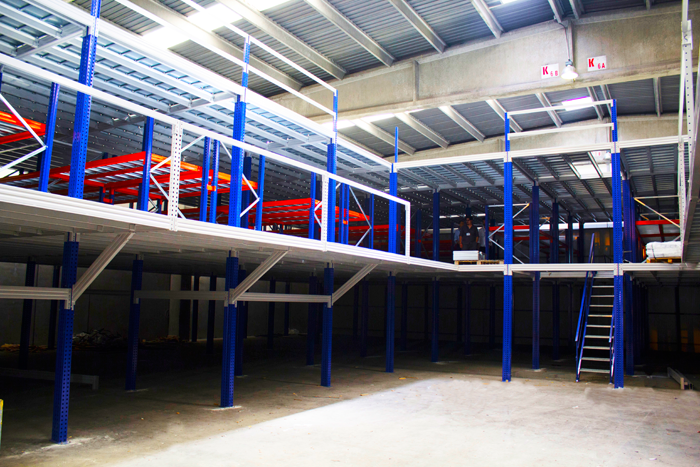 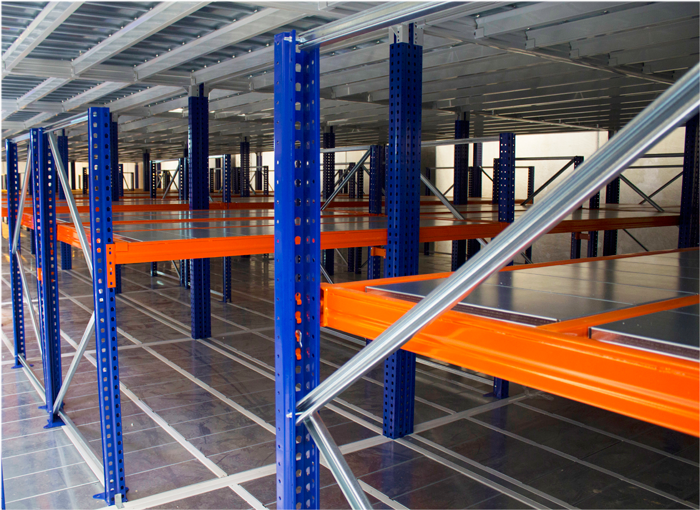 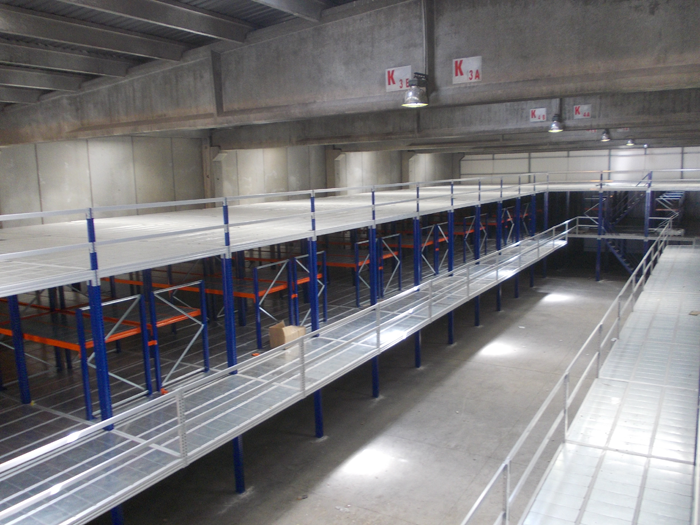 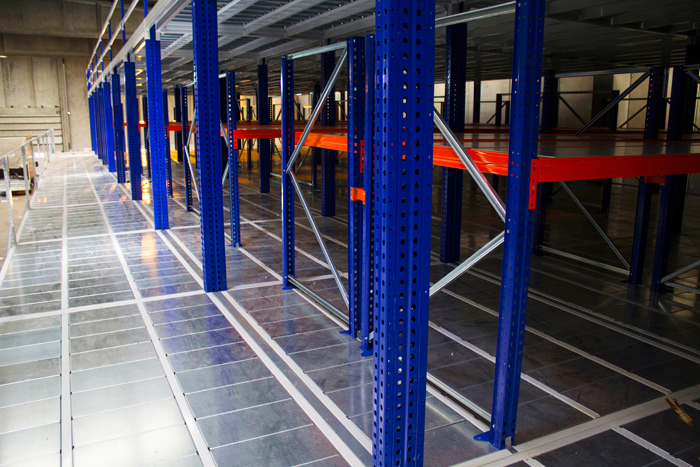 Mezzanine Racking is a special designed multi tier system allowing to create additional workspace within the warehouse by using heavy or light duty shelving systems with combination of accessories like walkways, railings, stairs, loading doors etc. 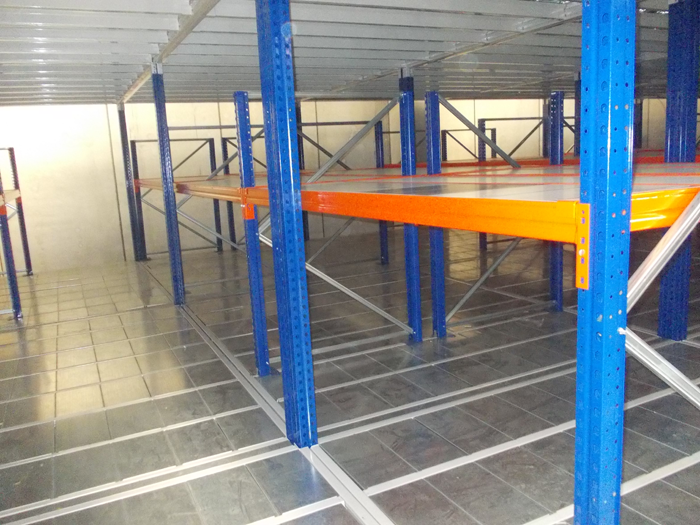 According to need, shelf levels and walkways can be covered using plywood, steel grating, MDF, chipboard, platform sheet etc. 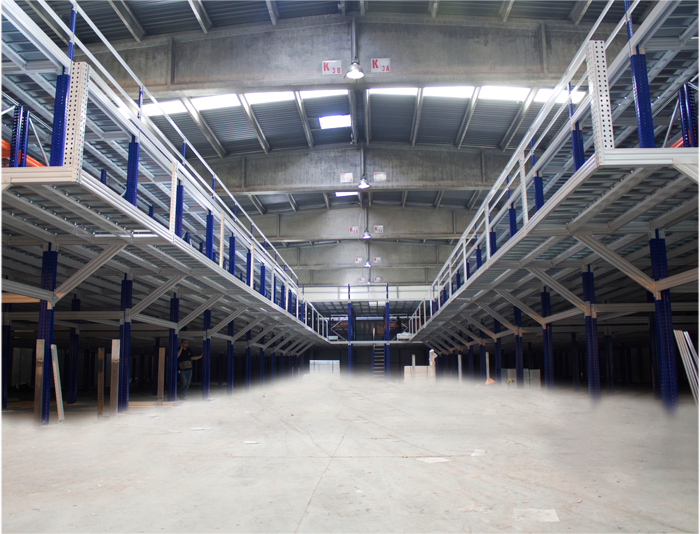 Mezzanine floors are totally dismountable and re-usable, and their structure, dimensions and location are easily modifiable.